The Best Yellow Cake Recipe, Homemade from Scratch. A moist, delicious, beautifully textured cake, paired in a classic combination with chocolate frosting. A great yellow cake recipe is one of the most searched for among dedicated baking enthusiasts. I’m no different and have been experimenting with different recipes that I’ve found online for years. For some reason that’s probably stuck in my psyche since childhood, I always envision yellow cake as in an impressive three layers that just looks like one of the simplest but most inviting cakes ever. It’s part of the reason that I was never quite satisfied with a lot of recipes I’d tried. Many of the firmer textured cakes that were suitable for stacking were too dry. A couple of the moister recipes were too soft and became too compressed under the weight. In developing this recipe I believe that I have finally struck the proper balance. What makes a great yellow cake? Butter and egg yolks are what gives a good yellow cake it’s color. The fresher your eggs the better the color. If you can buy free range organic eggs, you will see that the color of the yolks is quite different. They are much more intense than commercially produced eggs from chickens that are raised indoors. Finally, you should note that although it is shown in 3 layers in the photo, this recipe is written for a two layer cake, baked in 8 inch round pans. If you want a 3 layer 8 inch cake, multiply the ingredients by 1 1/2. If you want a 3 layer nine inch cake, which is a perfect birthday cake for large parties, double the recipe. Use your favourite fudge frosting on the cake or you can use the silky smooth chocolate buttercream frosting from this recipe or a simpler icing sugar based chocolate frosting found here. Larger cakes will need about 1 1/2 to 2 times times the frosting. Like this Best Yellow Cake recipe? If you are looking for an outstanding white cake recipe, our White Velvet Cake gets rave reviews from thousands of followers. It’s the softest textured cake I know and so moist too. The Best Yellow Cake Recipe, Homemade from Scratch - a moist, delicious, beautifully textured cake, paired in a classic combination with chocolate frosting. Sift together both flours, baking soda, baking powder and salt. Set aside. Grease and flour 2 eight inch round cake pans and line the bottom with 2 circles of parchment paper. Beat the eggs in one at a time, then beat in the 2 egg yolks. I always add dry ingredients in three divisions and liquid ingredients in 2 divisions. It is very important to begin and end the additions with the dry ingredients. Do not over mix the batter. As soon as it has no lumps in the batter, pour into the two prepared 8 inch cake pans. NOTE that although it is shown in 3 layers in the photo, this recipe is written for a two layer cake, baked in 8 inch round pans. If you want a 3 layer 8 inch cake, multiply the ingredients by 1 1/2 and if you want a 3 layer nine inch cake (which is a perfect birthday cake for large parties) double the recipe. NOTE: If you don't have buttermilk and want to use soured milk instead, just add a tablespoon or two of lemon juice or white vinegar to the measuring cup and top up to the 1 1/2 cups mark with regular milk. Cake is an excellent example of old school baking! This recipe came straight out of my grum mum’s kitchen! Such a nice thing to say Susan. So glad you enjoyed it. So only 2 eggs total……. Right???? No, 2 whole eggs and 2 egg yolks. I’ve updated the recipe to reflect that you beat in the 2 eggs and then the egg yolks. Thank you. This recipe is perfect. Since the recipe calls for salt, is butter you use in this recipe unsalted? As a general rule, I leave the salt out of any baking recipe of you use salted butter. It’s completely your choice. Can I use this recipe for cupcake? I have no experience with high altitude baking. I live by the ocean. You can use all purpose but it will likely be a bit heavier in texture. The cake flour does lighten the texture. Can I only use cake flour will it mess up the recipe? You can but I sometimes find all cake flour can be too crumbly ion some recipes. I like that regular flour + cake lour blends structure and softness together. I don’t have extra large eggs how many large would I need? Large are fine but add an extra egg if using medium…2 if using small. Great cake, but if you opt to double the recipe and use 9-inch cake pans, use 4 pans (not 3). I used 3 and ended up with a horrible mess on the bottom of the oven, not to mention a smokey house. Otherwise, it’s a good cake. I also meant to add that I cracked all the eggs & yolks in one bowl then added them individually. Perhaps your pans were shallower than mine. I use the Wilton pans and never have that issue with 9 inch pans. In any case, never fill a pan more than 3/4 full. Can I use all butter instead of the vegetable oil? You could try but be careful not to overtake. The oil does add moisture and keeps the cake from being too dry. How much longer should you bake if you’re using the 9″ pan? Just test it with the wooden toothpick as directed. I would like to bake in a 13×9 inch pan or two square pans. Will this work and how should the baking time be adjusted for oblong pan, please? Two 8×8 pans should be ok. 9×9 pans ill be too large. The baking time may be a little less. Always check early and rely on the toothpick test to see when a cake os fully balked. I did it ! and got thumbs up from my wife. Look out pattie L. Now for some cake and vanilla ice cream. Unfortunately the unique texture of this cake relies on using part cake flour. The cake will taste the same but the the texture will be denser. I would like to confirm that the recipe calls for all purpose flour as well as cake flour. Can I use all cake flour? I wouldn’t. The balance of flours is geo get the right balance between softness and firmness. You may fond the cake will collapse using all cake flour. Being a retired baker (scratch) of over 40yrs, it was a pleasure making this cake. Very moist cake, and great texture. Thanks for the recipe. Do you have the ecact measurements and baking time for a 12 inch round cake? No but I always calculate the area of the pans when converting a recipe. I always rely on the toothpick test to tell me when it’s done. Those are very large pans. I don’t know that I’d recommend this recipe for the required time it would take to bake. Please what if one does not have the eletric bowl for mixing, what could be alternate ? Thanks, its a nice job. Do you have a hand mixer? How much do I need to increase this recipe if using two 9” pans? That’s where your high school geometry comes in handy. 😉 Calculate the area of the pan and compare. 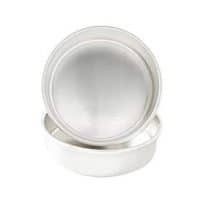 9 inch round pans are about 25% larger than 8 inch pans. 8 inch pans by what thickness? The picture looks like 2 inch but I’m not sure. 2 inches. I don’t think many people would have thicker than 2 inch pans. Cool, thanks! I’m using some rather irregular rectangular pans so I was trying to convert the volumes. You can always extend the sides with parchment paper. i have tried about a million different yellow cake recipes only to be disapointed. I was about to give up when i saw this and gave myself one last try. This is exactly what i have been searching for!!! It was delicious! And light! And fluffy! And moist! And actually yellow!! thank you so much- its perfect! Thans for the great review! A good yellow cake is hard to find. That’s why I cam e up with this one. 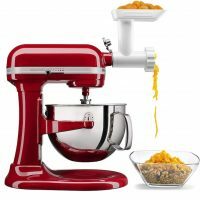 Hello Barry, super excited about fixing this recipe this weekend, have a quick question..I am using a stand mixer, would I still use the whisk attachment or can I use the paddle attachment? I’d make sure my butter was soft and use the whisk attachment for the first sage. You can use the paddle attachment to fold in the dry ingredients if you want. By the way, I always find it funny when Americans use the term “fixing” for preparing food. I always think, why?….is it broken? LOL! Are you from the south? I love travelling the southern states and of course, eating all that great food. I may be heading down later this summer for another road trip. Thanks Barry! lol, I am actually from DC, it is sometimes considered the south! lol lol. One last question, can this recipe be baked in a 9 x 13? Also, can this recipe be doubled? Should be ok in a 9×13 and yes it can be doubled. Yes, that what some of us in the South say. I say I’m making a cake, but I might say I’m fixing dinner. Should I sift cake and all purpose flour first, then measure and sift again? Or just measure and sift? I spoon into measuring cups and level with the back of a knife. I almost never sift flour before measuring. Have you baked this recipe in a bundt pan? And, have you ever added things to the batter? I have a “recipe” for a box cake mix that you add pudding mix into to make a very very moist, yet fairly light double chocolate chip bundt cake. We love it, but I don’t like using mixes – all those chemicals. Anyway, I think I’ll try your recipe in place of the box mixes…. I think the normal recipe for two layers should be ok for a bundt pan. Did you try it? What if you want to make a smaller version with one layer? Excited to try this recipe! Do you think would this work in a 12×18 pan if i doubled the recipe? Wow that’s a big pan. 1 1/2 times the recipe might be a better option. I am glad that I saw your comment! Did the 1.5 recipe work for the 12×18 pan? I am using two of these pans to make a giant kit-kat cake for my husbands birthday. Wow! Finally a moist cake. Its as moist as a box cake but tastes better. Thanks!!! I just made Cupcakes. Do you use the extra yolks primarily for color or do you find them necessary for the taste/texture. I have a standard recipe that I use that everyone seems to love ( I really don’t care for cake much ironically); but I notice that when people get cakes from bakeries, (not supermarkets in particular), they are always very light in color-would omitting the egg yolks ruin the dexterity of your recipe? I only use 3 (whole) and mine is fairly yellow…I just wonder every time I see one that is substantially whiter than mine, and still good (not lacking). Is this recipe sturdy for stacking and fondant? I did it for the colour. You can use whole eggs if you prefer. One of the best cakes I have ever made. I baked in 9 inch pans, I multiplied by 1 1/2 and made three layers. I used an icing recipe that was mostly melted bittersweet and semisweet chocolate, I highly recommend. So glad it was such a success. People love this cake! Hi This looks like a great recipe! Thanks for posting. The recipe calls for sifted all purpose and sifted cake flour. Doesn’t this mean the flour should be sifted before it is measured? 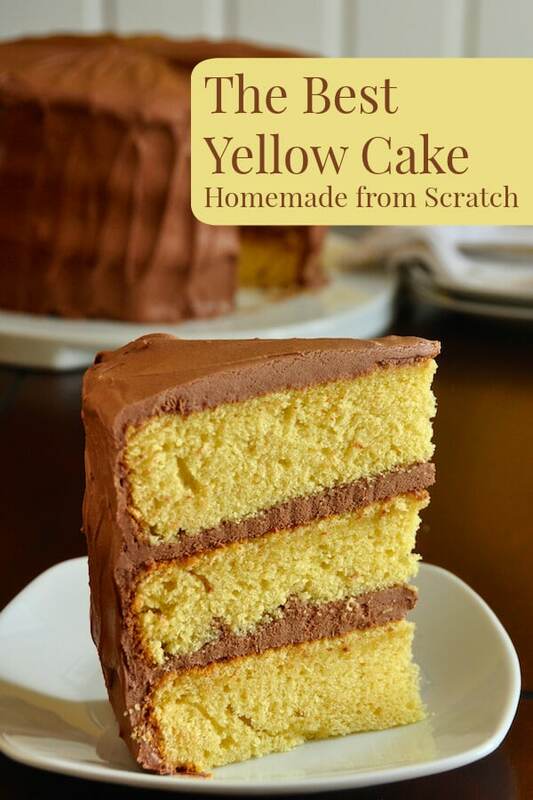 Hi I’ve been looking for a from scratch yellow cake recipe that tastes like a box cake mix. Is this the recipe I’ve been searching years for? Thanks in advance! Hard to tell exactly what you mean here. Did you search our site for Pineapple Upside down cake? Try that recipe. Thank you for the recipe. It was easy to follow. I’m not sure what I did wrong because my cake turned out more crumbly than I expected. It was still delicious and I made the chocolate butter cream frosting with it, also delicious. Please help me so next time it’s not so fall apart crumbly. It made it a little difficult to frost. Hmmm, sounds over-baked. Utry turning down the oven by 25 degrees and check the toothpick test earlier. You want this cake to be just at the point where the toothpick comes out perfectly clean. Barry, Barry, Barry!!!!! I have really struck gold with your yellow cake recipe! I have tried (and discarded) so many other recipes I’ve tried on line and I am FINALLY proud to say that I can make a truly delicious homemade yellow cake using your recipe. It pairs really well with my chocolate ganache frosting. You are such a blessing. Thanks so much for sharing! Its been years of using the family recipe for yellow cake that I’ve always used, I was very hesitant on making this because I didn’t expect it to taste so amazing, I had to put my foot in my mouth, I’m not suppose to eat cake but I had to taste it to see how it was, if I had five thumbs I would put them up, very moist, exquisite taste, firm, I was just blown away, everyone gave excellent comments, I will be using this recipe again, thank you for sharing. I am excited to make this cake. Should my eggs and egg yolks be at room temperature before I start? I always use them straight from the fridge, but your choice. I’ve tried many yellow cake recipes and I’ve found most of them to be too similar to a pound cake. So I didn’t want to get my hopes up with this cake. BUT, I was pleasantly surprised. It was the perfect yellow cake! It’s moist, not too dense, and has great flavour. This’ll be my go-to yellow cake from now on. Thanks! I have been reading all the comments on here and I have a question…….a couple people asked about sifting the flour before or after you measure. I noticed you answered one by saying that you almost never sift before measuring the flour, then another you answered “I sift and measure”. Can you please clarify if you sift and then measure or vise versa? Thank you so much! I use cps for dry measures. I spoon the flour into the cup until heaped over, then level with the back of a knife. Do you fold in the dry and wet ingredients to the sugar mixture by hand or do you continue to use the whisk attachment on your mixer? I haven’t tasted yet…tonight for a friend’s birthday but I did like how it looked after baking! I’m a hand folder by habit. I made the cake and it’s really good can I use a 9×3.8 cm for 3 layers without it being double?. Assuming your pans are the same height, you can always calculate total area of the pans to compare. This was the best yellow cake I have ever had, and I’ve tried a lot! I need to make cupcakes this weekend and am hoping to use this recipe. Will that work? What kind of adjustments need to be made? Baking time? Any idea how many it will make? Thanks in advance! This recipe can be made as cupcakes. Depending on your pan size 15 to 20 minutes bake time. Let the toothpick test be the ultimate judge of when they are fully baked. Watch carefully and don’t overbake. Record your baking time for next time. How about 6” pans? Would this make 3 layers of 6”? Anyone try that? And how does it affect bake time? Smaller cakes will, of course bake faster. Assuming all your pans are the same height, you just need to calculate the area of the combined pans to compare to the original area of the pans used in the recipe. Great recipe and I’ve tried many yellow cake recipes in my 25 yrs of parenting. For 16 years I’ve made my kids cakes each year since being diagnosed with multiple food allergies. Great moist, easy to make recipe I will likely use for years!! Can I use all vegetable oil instead of the butter ? No. Butter is used for structure in the batter in this cake. Hello and thank you for the recipe, but can you use this recipe for a bundt? Absolutely fantastic. This was my first attempt at a cake from scratch. This is a super light, moist and flavorful cake. Thank you. Fantastic recipe! I was nervous as I am making this in a mini-oven in Nanjing, China! It took a bit longer to bake but it came up beautifully and is so light! Thanks for sharing a great recipe. Thanks for the recipe / I’m excited to try it. It looks great. Just a note – egg yolk colour is not determined if a chicken is raised organically or not. The egg yolk colour is determined by what a chicken is fed ie. a diet rich in corn will produce a brighter yellow, whereas a chicken fed a diet high in wheat will produce a paler yellow yolk. Not sure. I’d say 18? Depends on the size of your pans I guess. Excellent! Excellent! Excellent! I have only tried one other yellow cake recipe and that was not it. My search stops here. This. Is. It. Thankful I’m a seasoned cook that knows a good, balanced recipe when I see it. 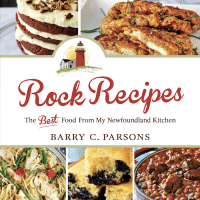 I was specifically looking for a recipe that included butter and oil and this Rock Recipe has all the ingredients I required a yellow cake recipe to have. As with all my test recipes, I made half a recipe using one, 8 inch Wilton aluminium pan and baked at 325 for 32.5 minutes. I made no substitutions, followed the recipe exactly and sifted then measured my flours. Perfect color, perfect crumb, perfect moistness, perfect light weight and perfect full flavor. Absolutely delicious in every way. Thank you, Barry, for an outstanding recipe and fabulous technique. Such a great review! Thanks for letting me know about your success! Thank you for what looks like another great recipe! I do have a question before baking though. Does this cake yield a light crumb? I am using 1 layer as a 1st birthday smash cake and would like a cake that will hold its shape when cut for guests, but crumble quickly under the hands of an eager toddler! This recipe should fit the bill well! I have been baking for over 40 years and have made countless yellow cakes from varying recipes. I believe this recipe showed up on my Pinterest feed and so I decided to give it a try. This was the BEST baking decision I’ve ever made. Secondly, I followed the cake recipe exactly as written. Lastly, I served it to a group of friends and family at a dinner party. Every single person deemed it the best yellow cake they had ever eaten. In fact, several guests literally did a little “jig” as they were eating it. No exaggeration. There wasn’t a crumb left and 2 of my friends asked for the recipe. I will never try another yellow cake recipe again. This is truly the king of all cake recipes. So glad you liked it. My 19 year old son has become the master of this recipe in our house. He just loves it. I live at 9600 feet elevation. Any recommendations for adjustment to high altitude baking? 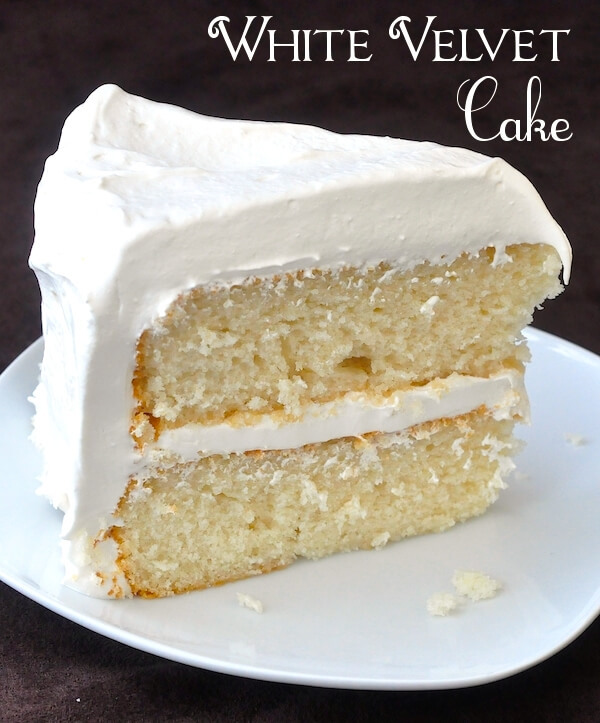 My husband always requests yellow cake for his birthday and I am excited to try this recipe! I’m at sea level so never baked at high altitude before. Can I use an14.5×11′ Wilton bake pan? It’s the non-stick surface & it may be a slightly heavier guage metal?.The Wilton 11×15 sheet pan is very similar but not non-stick . Also the Wilton 13×9 is also the non-stick , heavier? same type of pan and advertises with a picture of a sheet cake on it. Ideally I want to make sheet double layer with a fruit filling for 30 + people using the heavier non-stick 14.5×11. Can I use this recipe for that size and bake 2 cakes or am I better off baking 4 half the size such as 10×10 s. 9″ would be too small. When scaling recipes using the same hifht pans I just calculate the area of the pans versus the size I want to make, then multiply the recipe accordingly. Hi I don’t have any cake flour how much of all purpose flour would I need to replace it ? Much help needed thank you!!! The cake texture will suffer but I’d use the same amount. I noticed it calls for extra large eggs. If we only have large eggs, do I add one extra egg? Great recipe. Others I’ve tried were either to eggy, or to dry. Here’s a tip for those without cake flour: replace two tablespoons in a cup of regular flour with cornstarch and whisk together. Those are quite shallow pans. Mine are 2 inches tall. I’ve never seen much difference the few times I’ve tried it. About how many people does this cake serve? Is there a demonstration video On how to make the Cake. You didnt’ see it in the post? Do you have the recipe in metric units? Or at least for the all purpose and cake flour? There are many metric convertors available online. like this one from King Arthur FlourKING ARTHUR FLOUR.